We're all used to checking our phones for the time these days, so in many places, clocks have become as much a piece of decoration as an essential device. That's not the case everywhere, of course, as schools, factories, and other facilities still use clocks in their hallways and shop floors. You can imagine that these days, wall clock technology has improved to the point where the clocks set themselves. What you may not know is how one company is using clockmaking to train and offer jobs to people with certain disabilities. 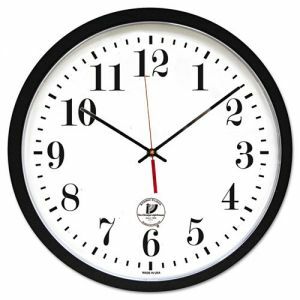 Atomic radio controlled clocks rely on a radio signal that can reach across the continental United States. 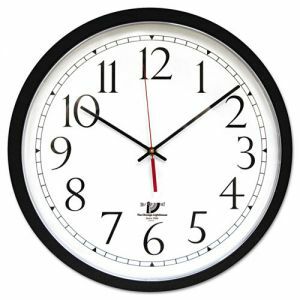 The clock receives the signal and makes daily adjustments so the time is always correct and never runs too fast or slow. All you do is pop in a battery, set the time zone and find a place that works. Since it does need to receive the signal to work, some locations with a lot of electrical equipment (like hospitals) or buildings with metal roofs may not work right (and depending on where the signal comes in, it may need to be switched to a north-south wall or an east-west wall or vice versa), but the general rule is that if you get cell phone reception in a location, the clock will work there. This is important for large facilities, as keeping clocks accurate and changing them twice a year can be a huge burden on maintenance staff. Even if a radio-controlled clock doesn't work for your location, Chicago Lighthouse does offer several clocks that are programmed to automatically go forward or back an hour when Daylight Savings Time begins and ends (which November 1, by the way). Chicago Lighthouse is one of the leading manufacturers of radio-controlled and selfset clocks, and is a worthy company to support due to their mission. It's a not-for-profit agency that offers job training skills to people who are blind or visually impaired. All of their products are made in the US, and their line of clocks are produced by employees with disabilities and serve as a major part of their vocational service and training operations.